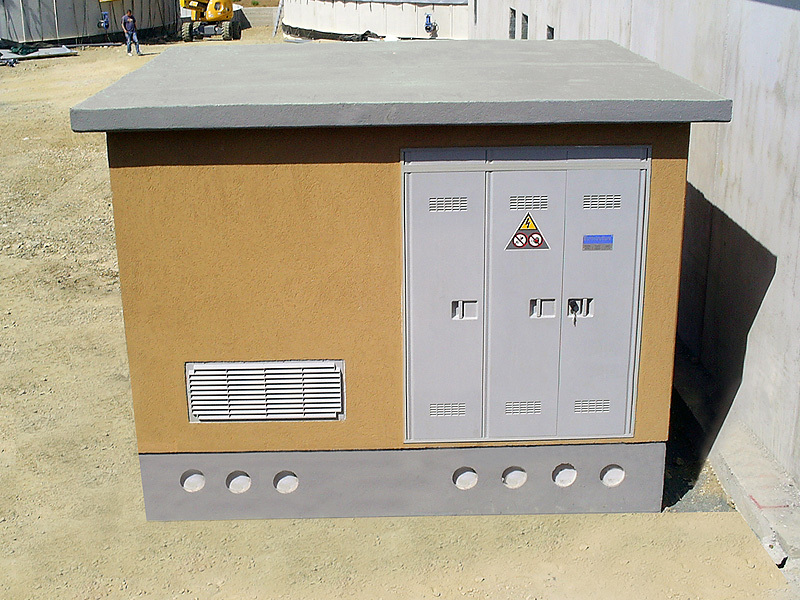 Configuration of a prefabricated substation according to your requirements for photovoltaic systems. 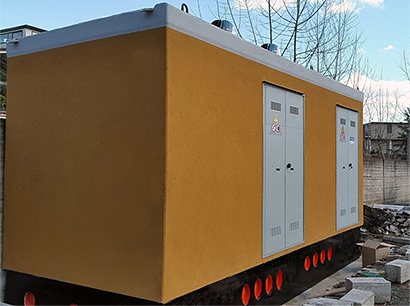 After various search criteria, you will get a suitable documentation and a display of the prefabricated substation. 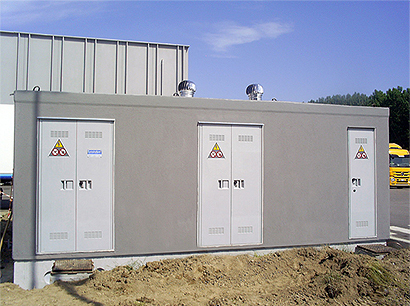 The ENEL approved substations have the same characteristics of the monolithic ones, plus they have the ENEL approval. Their length varies from 250 to 750 cm, their width and height are standard 250x260cm. They are made in vibrated reinforced concrete and packaged with high strength cement suitably reinforced with 7 cm thick walls. Formed by modular elements insulated with polystyrene and properly armed. These types, although requiring the assembly on site, have considerable advantage of being made of any size and in particular the panels can be customized with paints and finishes on request from patrons. 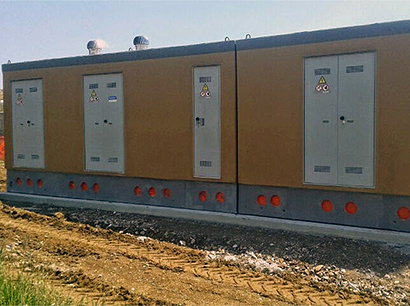 Eurostrutture provides wide-ranging solutions in the making of ENEL approved prefabricated substations for photovoltaic and wind systems. Eurostrutture for transformer substation approved and certified Enel and Terna. Associated ANIE, ASTREN, ASDE. Certified UNI EN ISO 9001: 2000, SOA certification and ISO 14001: 2004 and ISO 9001: 2008. All ENEL Standards for prefabricated electrical cabins C.A.V. 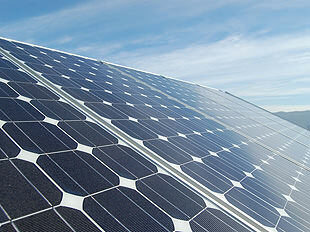 photovoltaic and wind power plants. Ability to download the pdf. Description of electromechanical equipment. 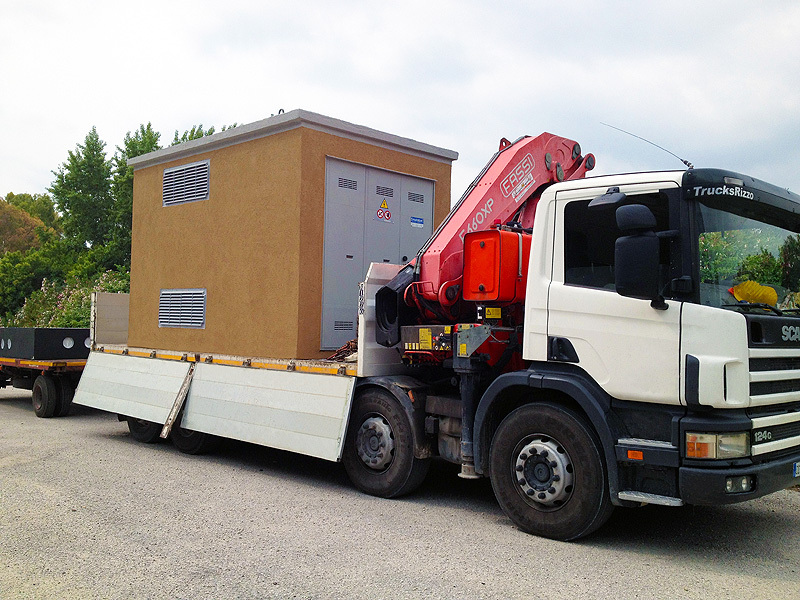 Electricity substations with power ratings from 100 to 1250 kva according to ENEL DK5600 rules.